David Doyle has been a scholar and activist in support of the exoneration of Métis leader Louis Riel since the 1970s. As a Fellow of the Canadian Plains Research Centre, University of Regina, David collected the oral history of the Plains Cree. In 2012 David introduced Louis Riel to Cuba presenting his bi-lingual play Honoré Jaxon’s Riel on Trial at the Cuban Writers and Artists Union (UNEAC). At the XXI International Book Fair in Havana David introducing his book From the Gallows – the Lost Testimony of Louis Riel and showed his video On the Trail of Louis Riel. David also spoke at the University of Havana on the Co-operative Movement in Canada. Advancing the struggle against colonialism and for universal recognition of Aboriginal rights to delegates from 44 countries at the UNESCO World Equilibrium Conference in 2013 David had the honour of presenting The Prophet and Apostle of the New World his comparison of Canadian Métis leader Louis Riel and the “father of Cuban Independence” José Martí. 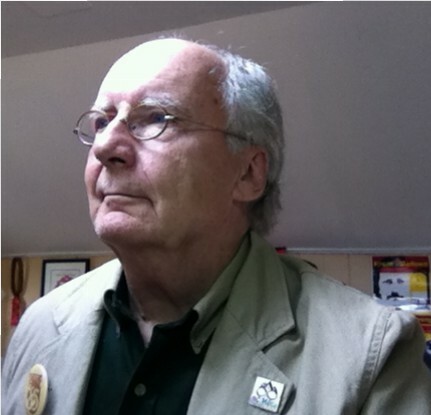 In 2014 David traveled to Iceland, Ireland and England on a “Save Our Libraries Tour” speaking on the necessity to protect our literary heritage. In 2015 David spoke on Reconciliation and the Historic Memory of Louis Riel at the Canadian Studies Seminar at the University of Holguin, Holguin, Cuba. David also presented the Keynote Address at the 2013 and 2014 BC Metis Federation AGMs. The B.C. Métis Federation (BCMF) recognized David’s contributions in seeking justice for Louis Riel in May 2013, conferring on him “honourary Métis” status and recognizing his work with the Métis name: Honoré Jaxon II.